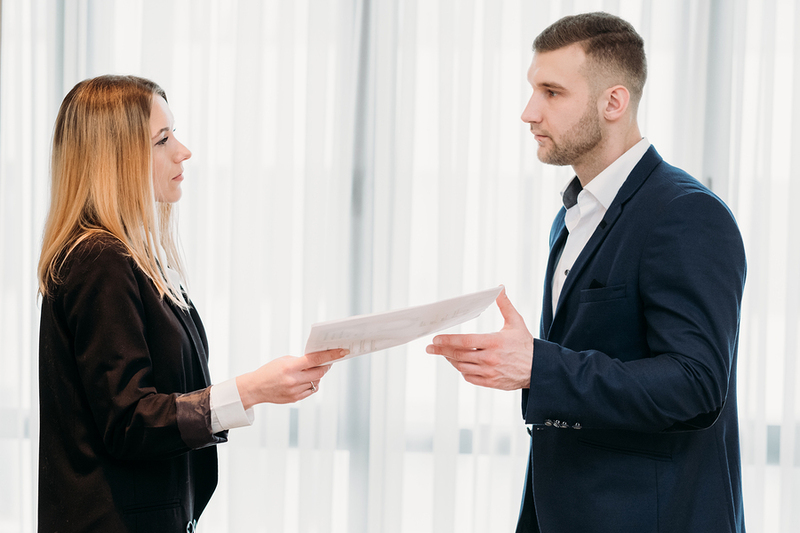 While resignation may be justified in some cases, in other cases it deserves a mature reflection on the part of the employee. Resigning on impulse, exasperated by your superior or colleagues, could have heavy consequences in the short and medium term. So before you get to that point, and even if there are elements against you, know how to avoid losing your head… at least for some time. Without being paranoid, you feel that nothing is working with your superior. He loads you up with work for no consideration (no promotion, no raise, no compensation) – with the risk of you becoming less effective, as revealed by a study from Standford University once over the threshold of 50 hours a week. He does not respect his commitments and can no longer be trusted in your eyes, he does not do what is needed to favour your advancement within the organization – no more exciting projects or ambitious challenges, an end to training to upgrade your skills. What do you have left? The company culture? Not even that, management having changed in the meantime, you find yourself aimless with no new directions. Colleagues? You are left wondering about yourself and you notice that at meetings your position is becoming more difficult to hold. The company’s sound financial health? Unfortunately not, the company is sidetracked due to poor decisions that have been taken. So is this the time to slam the door shut to emphasize your disappointment, or even your exasperation? Surely not, at best a letter of resignation in due and good form, submitted courteously to your manager! And if everything in the company is not so dark? Perhaps you are going through a delicate period personally that only exacerbates a few professional misunderstandings. Certainly your mood is not always going to be perfect if your child doesn’t sleep at night, your move goes badly or a family member is fighting a disease. It’s the time to take a break (holidays, sick leave) to rejuvenate, recharge your batteries and get some good sleep and healthy meals to return to work serene and positive. Try to let go and not get stuck in some office irritants. If the situation still seems untenable, then start asking yourself some questions about a potential departure. What job would you accept if you quit the current company? Would you be ready to renounce your benefits, the proximity to your home, the festive events organized by your department? Do you think you can be easily employable elsewhere? Should you get a new diploma or a new qualification? If you are convinced that the time has come to leave the company, do so with courtesy, because the world of work is small. Thus, announce your departure to your superior at a convenient time (avoid the day before a trade show), refrain from talking to your colleagues beforehand, remain positive in the comments made at the meeting, including in the letter that you will hand in, in order to leave a professional image with your interlocutor who will not fail to recall when being a reference. In conclusion, you have decided to leave, but to stay on good terms, so forget abandoning the job and the scorched earth strategy. If resignation follows a carefully considered decision, it is respectable, especially since it will be done courteously and professionally. Because a careless act of quitting can have devastating effects. How to React to Sexist Behaviour in Business?